Stainless steel’s most notable attribute is its ability to resist corrosive attack. Like aluminium it is a relatively new material but it has found many applicationsIt is a basic alloy of steel that contains chromium but other alloying elements are added to provide specific attributes. Stainless steel finds many applications where a hard material is required that will resist corrosive attack. It is the addition of a minimum of 11% of chromium that gives stainless steel its ability to withstand corrosive attack. Chromium has the effect of creating a naturally protective oxide film on the surface of the metal – a film that ‘self-heals’ almost directly after removal of the metal surface. This is very similar to the action found in aluminium, which makes it such an atmospheric resistant metal. There are four main alloy groups, known as “Austenitic”, “Ferritic”, “Martensitic” and “Duplex/Super Duplex”. All are produced in a variety of shapes and sizes. Of course, no metal is totally “corrosion resistant”. In the right circumstances all metals will corrode including stainless steel, but as long as the passive surface layer is maintained, “rusting”, and other forms of corrosion such as pitting, crevice, galvanic, intergranular, stress etc. are avoided. Alloy GroupsFerritic stainless steels contain a minimum of 11% chromium. They are relatively inexpensive as they contain no nickel. Ferritic stainless steels are magnetic. Austenitic stainless steels contain a minimum of 18% chromium, along with a minimum of 8% nickel. They are non-magnetic, which is a great advantage in many applications, especially marine applications where unwarranted magnetic influence can affect compasses and other direction finding equipment. They also possess improved formability (e.g. deep drawing or stretching) compared to ferritic stainless steels and are tougher, maintaining their strength better at high temperatures. Weldability is improved as is corrosion resistance and with the addition of less that 2% molybdenum, corrosion resistance is significantly improved. Martensitic stainless steels contain a minimum of 11.5% chromium, generally with no nickel content but an addition of 0.15% - 0.4% carbon. These steels give very high strength in the hardened condition. Tempering at 150°C to 170°C increases corrosion resistance, and the abrasion and wear resistance of these alloys is well known. Some variants containing high carbon content are not, however, recommended for welding. 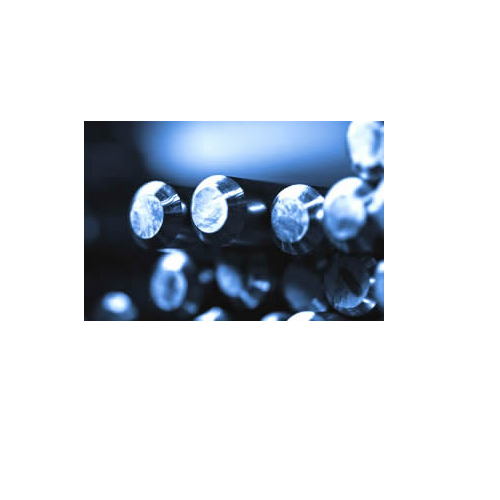 Duplex and Super Duplex stainless steels typically contain approx. 22% chromium (duplex), 25% chromium (Super Duplex), 5% nickel and around 0.1% minimum of nitrogen. Effectively, they are of a mixed ferritic/austenitic structure and have high strength combined with good corrosion resistance, good weldability, formability and resistance to crevice and pitting corrosion in chloride solutions. Established in the year 1993, we, Parag Metals, are well-known in the industry as one of the leading companies, which is engaged in Supplying, Importing, Exporting and Trading a comprehensive range of SS Pipes and Tubes, Steel Sheet, Stainless Steel Plate, Steel Coil and SS Fittings. Our offered products are widely acknowledged in the industry for their features like high tensile strength, superior finish, lightweight, easy installation, corrosion resistance and abrasion resistance. Under the guidance of expert professionals, these products are manufactured using high-grade stainless steel that is checked on various parameters. Owing to our transportation facility, we are committed to dispatching these products in stipulated time-period.